Volpetto Chianti Italian wine. L&P Global. A blend of mainly Sangiovese, with a small percentage of Cannaiolo. The grapes are destemmed and gently crushed. Fermentation takes place in stainless steel tanks at a controlled temperature of 25°C with macro oxygenation that lasts for 12 days. 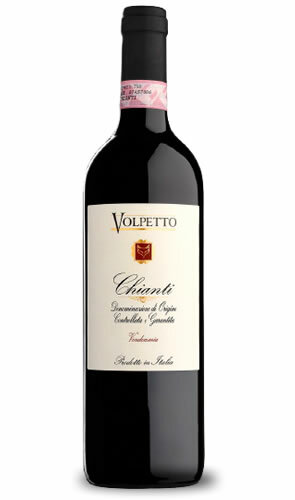 Volpetto Chianti is well structured and full bodied, lively and intense.